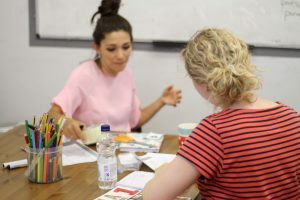 The advice for students wanting to go to a Russell Group university who do not yet know what subject their degree will be in, is to keep their options open by choosing at least two “facilitating subjects” at A-level. These are the subjects which provide good preparation for the broadest range of courses. Languages are amongst the “facilitating subjects” for Russell Group universities. For example, although Psychology, Economics, Business Studies and Media Studies A-levels are available, they are not compulsory to study the subject at degree level. The student can keep their options open by studying “facilitating subjects” such as Maths and further Maths, English Literature, Science subjects, History, Geography and Languages, and then specialise when they get to degree level. Languages are useful when applying for any degree, and some surprising courses such as History, English and Speech Therapy like to see the student has attained an A level in a language, as well as more obvious courses such as European Studies, and language degrees. But how about at GCSE? It is still important to ensure you get at least 1 language GCSE to keep your University options open. As one example, University College London requires a Modern Foreign language (MFL) at grade C or above for every one of its degree courses. If you don’t pass your GCSE in MFL, you will have to complete a course over the summer or in your first year, to catch up. Other universities ask for a modern or classical foreign language at GCSE as a prerequisite to studying English. In some countries students have to study a foreign language up to 18 as a minimum, so keeping your options open by studying a language to GCSE, or preferably to A-level is not so onerous. 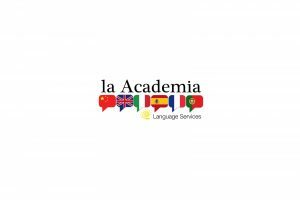 If you find languages a struggle at school but want to go to university, talk to la Academia about working with one of our specialist language tutors to boost your confidence. 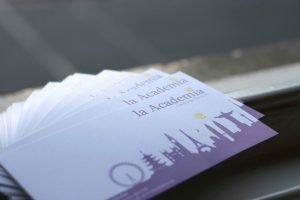 The atmosphere in a class at la Academia is totally different to school, and the improvement in your result will definitely be worth it if it helps you get the university place you want! Ring us on 0161 491 1444 to find out more!